CLEVELAND -- Don't give up hope on the golf season just yet. That's what folks who are unfortunate enough to live in geographic areas unkind to the species known as "Golferus Hackerus" are saying even as Old Man Winter is chasing them down the fairway. Look at it from an economist's point of view: the money you'll save on greens fees will help pay those mountainous gas bills this winter. And it's safe to say that most people would rather play in 60-degree weather than temperatures in the 90s. Fall special: 18 holes with cart -- $20 weekdays, $24 weekends. Also has 99-cent fall lunch specials with paid greens fees. About the course: This course is open all year and features 45 holes: the Pine Valley/St. Andrews Course, Audrey's/Heatherstone Course and the Walk in the Park Course. Pine Valley will have you popping nitro pills as it features creeks, hourglass fairways, several dogleg fairways, and requires many blind shots. You'll also have to deal with water on all 18 holes. Fall special: Fall rates began Oct. 20. Play 18 holes with/without cart -- $26/$15. Open through December weather permitting. "Golf for the Hungry" event Dec. 15-24, where $5 per 9-hole donation goes to food drive. Or, bring 10 non-perishable food items and pay no greens fees. About the course: This hilly, Scottish links-influenced course is one of the toughest in Cleveland. 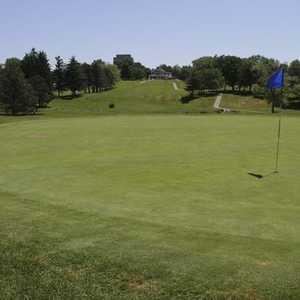 Designed by flamboyant architect Stanley Thompson, it features 64 bunkers, lots of downhill lies and small, fast greens. Plus, get fantastic fall views of the Cuyahoga River Valley. Cigar-chomping Charlie Sifford, the first African-American to win a PGA Tour event, used to be the pro here. Fall special: Fall rates began Oct. 15. Play nine holes with cart -- $15, 18 holes with cart -- $18. Open year-round, weather permitting. About the course: Features three nine-hole courses played in three 18-hole combinations. Water hazards come into play on several holes of the Lochs Course. The Glen Course is so tight foursomes have to walk single file down the fairways. The Ben Course was built on rolling terrain but has wide-open fairways. 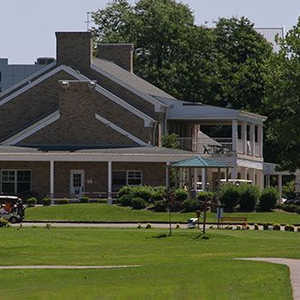 A plan is currently underway for a 240-home community surrounding a renovated 18 holes. Fall special: Fall rates began Oct. 11. Weekday - play nine holes with/without cart -- $12/$9; 18 holes with/without cart -- $20/$18. Weekend -- 9 holes with/without cart -- $16.50/$12.50; 18 holes with/without cart -- $30/$22. Also, fall special of 18 holes with cart Mon.-Thurs. before noon gets lunch for just $3 more. Open year-round, weather permitting. About the course: Owned by the City of North Olmsted, this recently renovated 18-hole course features one of the most challenging holes in the area: No. 11, a par-5 of 515 yards requiring an approach shot over a wide ravine to a well-bunkered and contoured green. Hole No. 16, a par-4 of 423 yards, is interesting as well as it has a waster bunker that runs down the entire right side of the fairway and is well bunkered on the left. Nationwide Tour star Jason Dufner reportedly shot a 62 at this course. About the course: Watch out for the water. Lakes and ponds come into play on several holes. The signature hole is No. 13, a 435-yard par-4 that offers some jaw-dropping scenery. The greens are undulating and difficult to read.